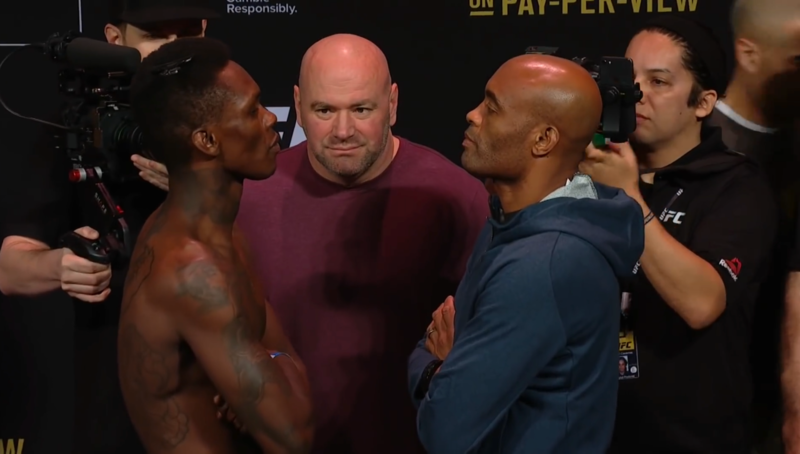 Israel Adesanya and Anderson Silva’s crowd-pleasing fight in the main event of UFC 234 was enough to earn “Fight of the Night” honors. Both Adesanya and Silva will each walk away with $50,000 more due to their fight, which was Adensanya on the scorecards. The fight ended up being elevated to the main event at the last second as headliner Robert Whittaker was diagnosed with a hernia and his UFC middleweight title defense against Kelvin Gastelum was canceled. Two more bonuses were handed out: Montana De La Rosa and Devonta Smith were each given $50,000 for earning “Performance of the Night” honors for their victories over Nadia Kassem and Dong Hyun Ma, respectively. Even with a last-second change in the main event and the UFC saying refunds would be issued for those that want one at the arena, UFC 234 still managed to draw a sellout crowd of 15,238 at the Rod Laver Arena. The gate would end up being $2,470,388.